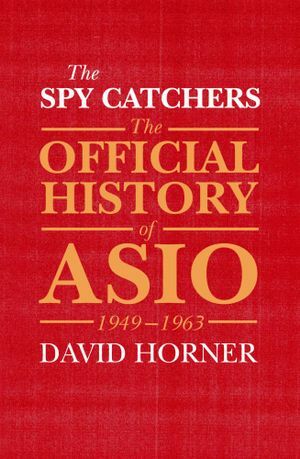 With unprecedented access to their hitherto sealed records, this is the first volume of a remarkable official history of ASIO – a revealing and authoritative account of the early years of Australia’s national security intelligence service. For the first time, ASIO has opened its archives to an independent historian. With unfettered access to the records, David Horner tells the real story of Australia’s domestic intelligence organisation, from shaky beginnings to the expulsion of Ivan Skripov in 1963. 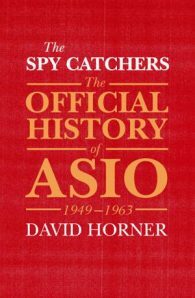 From the start, ASIO’s mission was to catch spies. In the late 1940s, the top secret Venona program revealed details of a Soviet spy ring in Australia, supported by leading Australian communists. David Horner outlines the tactics ASIO used in counterespionage, from embassy bugging to surveillance of local suspects. His research sheds new light on the Petrov Affair, and details incidents and activities that have never been revealed before. David Horner, AM, is Emeritus Professor of Australian defence history in the Strategic and Defence Studies Centre at the Australian National University.